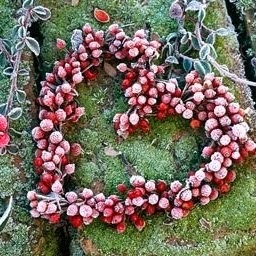 I'm so glad you're taking our RemARKable Blog Tour today - you've just come from Anne Matasci's blog, Maui Stamper. I know she had some great ideas for you! For this month's Stamp of the Month tour, we had a choice between Christmas Collectibles and Harvest of Thanks. 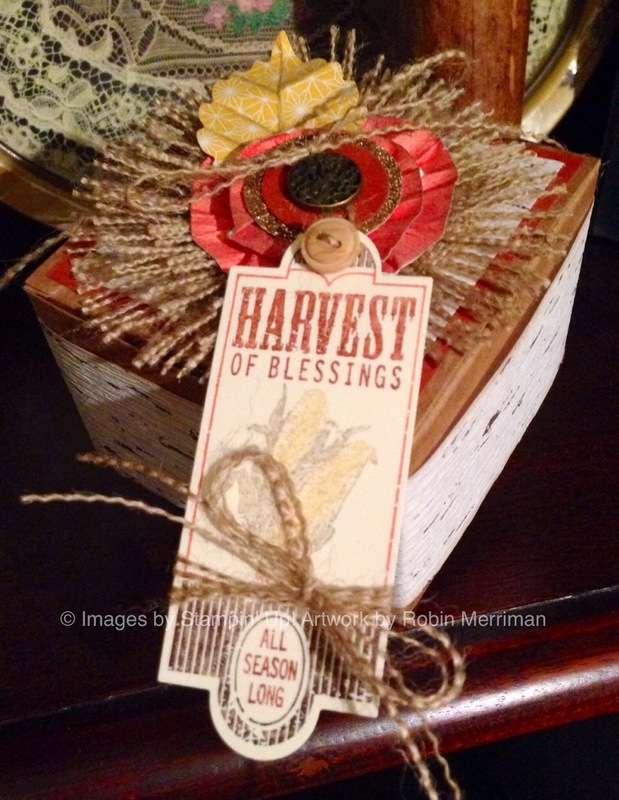 Since I've just begun to pull out my Fall decorations and am feeling the Fall vibe, I went with Harvest of Thanks. 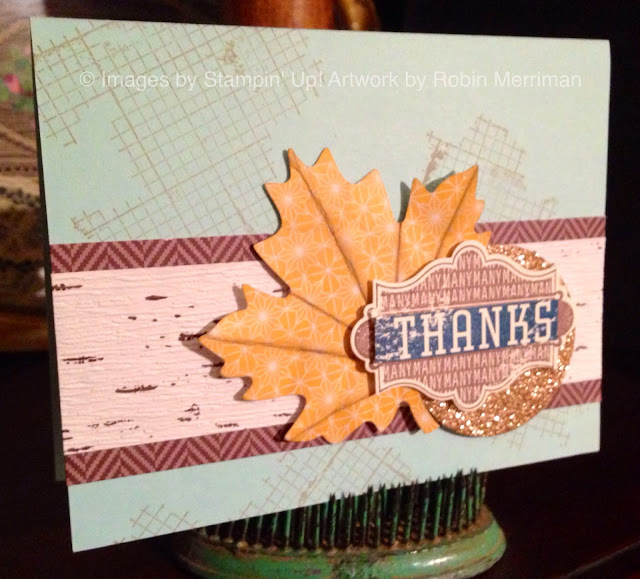 My samples are a decorated Kraft Gift Box and a clean and simple Thank You card. I was able to combine several of our Holiday Mini Catalog products for the designs and it was a wonderfully relaxing 2 hours. 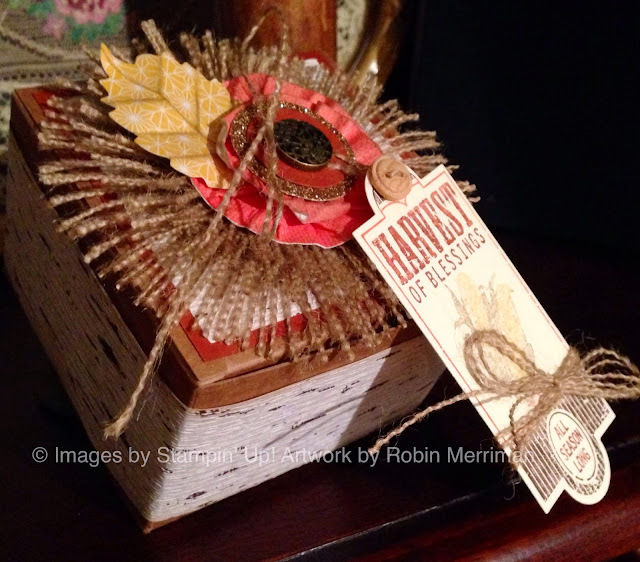 This Kraft Gift Box is wrapped around with a piece of the birch bark paper from the Thankful Tablescape Simply Created Kit. The components of that kit are AWESOME, even if you aren't into doing placesettings. The top has a piece of Cajun Craze cardstock and another piece of the birch bark paper. It's topped with a fall flower made of the Burlap Ribbon, a strip of paper from the Thankful Tablescape kit, Gold Glimmer paper, an Antique Brad and a leaf from the Tablescape kit. The "flower" is done with one of the Sticky Rounds which made it easy to form the circular shape. To give the leaf it's veins, I simply folded it and sponged the fold lines with Crumb Cake ink. 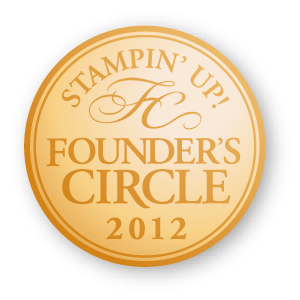 I made it by coloring on the stamp with Stampin' Write Markers then it was cut out with my Big Shot and the Apothecary Accents Framelits. A couple of strands of the burlap from the ribbon "flower" were tied around the tag for an accent, then I added a Naturals Button with another burlap strand to tie it onto the flower. I used Soft Sky cardstock for my card base and stamped it with the Off the Grid stamp in Crumb Cake ink. 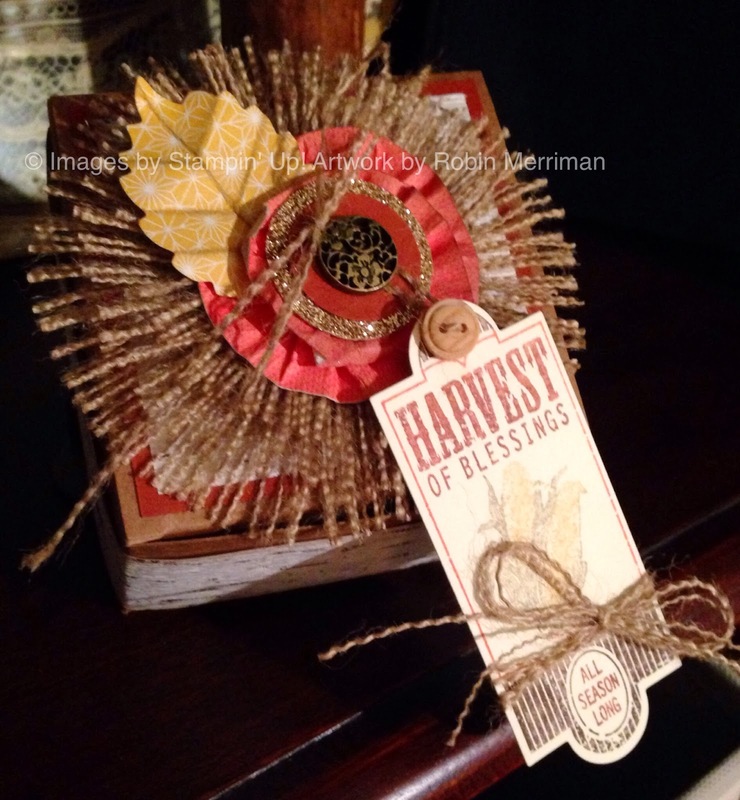 The paper strips are both from the Thankful Tablescape Kit. They are the rolled pieces, simply cut down to size. Another leaf from the kit was veined and crumpled, then added to the card front. 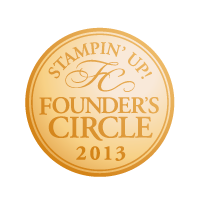 After adding a circle of Gold Glimmer paper, I stamped the Thanks greeting twice. Once in Chocolate Chip, once in Midnight Muse. The Apothecary Accents Framelits were used to cut them both out, then I trimmed out the greeting from the Midnight Muse piece and added it with Stampin' Dimensionals. 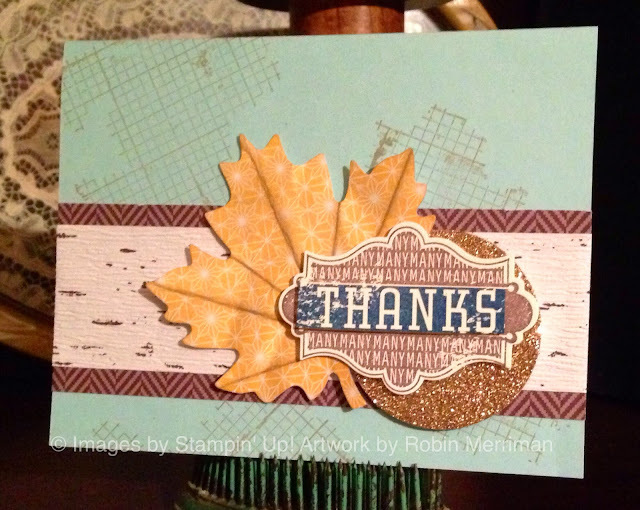 I love the color combo of blue, brown and gold - so awesome for Fall! I hope I've inspired you with some fun Fall projects, I'd love to hear your comments! 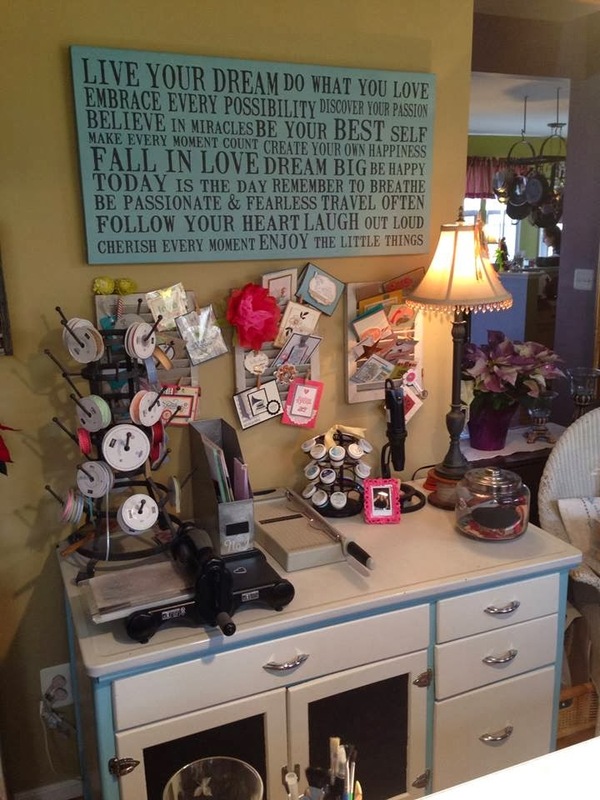 Your next stop on the Blog Tour is Audra Monk's blog - The Crafty Yogi. 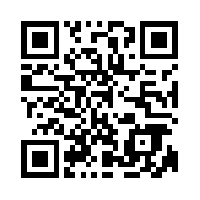 You can click the link, or the Blog Tour icon below to head over there. I've also included a list of all the tour participants at the bottom of this post so you don't miss any!